Is it that time of the year again for you and your fluffball? Time for your annual vet check up! Let the games begin! The score in this game is massively skewed toward cat victories, probably something like 10,000,000 – 1. The cats are just really good at staying out of reach and fighting their way away from the carrier aren’t they? If the above situation sounds anything like your standard experience with your cat then keep reading. First we’ll dig into why your cat is so afraid of the cat carrier and then we’ll spend some time looking at how to get a cat into a carrier the easy way! More than anything, your cat likely hates the cat carrier because of the way you use the cat carrier. Most cat owners keep the cat carrier stored in the closet or in some corner of the basement 99% of the time. They only bring out the cat carrier when it is necessary to go on a trip and that trip is more often than not a very unpleasant experience for your cat. 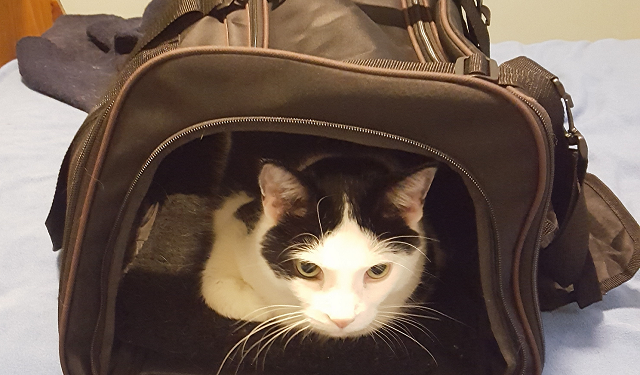 Even if it doesn’t involve going to the vet, most cats don’t particularly love traveling and so getting into the carrier doesn’t hold a lot of fond memories. 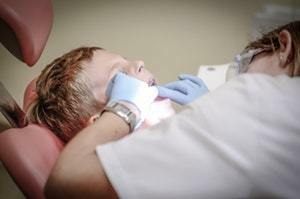 Think of it this way, most humans don’t particularly love going to the dentist. If every time you went to the dentist someone put you in a small box to transport you there, and that was the only time of year you saw that small box, you’d start to very quickly associate bad things with that small box. Every time you saw it you’d think to yourself “Dang! I have to go the dentist AGAIN?! ?” then run and hide. 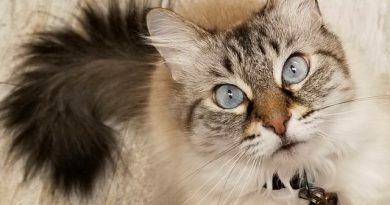 So let’s take a look at what you can do to make your cat think of the carrier as a safe place, or at least a place that they aren’t perpetually afraid of. Keep It Visible Often: Your cat carrier should not be hidden away in a closet or a corner, at least not all the time. It should be out and around where your cat can see it and even interact with it on a daily basis. Don’t get me wrong, you can put it away when company comes over, but do your best to keep it out on a consistent basis. Make it Comfortable: Even if you have a soft carrier that already has its own pad in it go ahead and place something that your cat sleeps on constantly inside the carrier. A blanket, a small bed, anything with their scent all over it. This makes it seem like part of their home turf, they might even decide to sleep inside the carrier. Carriers actually make a great hidey hole for your cat. They have all the key things cats normally look for in a good place to sleep because they are small & cozy and your cat can only be approached from one direction. Place some treats or some food to get them to go in and out of the carrier. Don’t worry if they don’t go in and out of the carrier with you right there, they’ll still start to associate treats (a positive thing) with the carrier. Play with your cat in and around the carrier. Use a wand toy near the door or a laser pointer and some of your other cats toys to see if you can get them to pop in and out of the carrier from time to time. If both ends open let them use it as a tunnel. Use Feliway if your cat stays away from the carrier. Feliway is a synthetic pheromone that will help your cat relax in general. Spraying some Feliway onto the carrier will make sure it doesn’t carry any negative scents. Start Using the Carrier: The next thing you’ll want to do is actually start closing the door once in a while when your cat goes into the carrier. You don’t need to leave them in for a long time, but walking out of the room for 5 minutes and then coming back and opening the door will start to remove the association that your cat will get trapped in the carrier. Every time you let her out be sure to provide a treat! Transport Time: Your last step is to get your cat used to being transported in the carrier. I personally walk my cats to the vet, so I took my cats on walks around the block the first few weeks I had them. This makes sure they don’t always associate the carrier with a dreaded trip to the veterinarian’s office! If you normally drive there then you might want to pop the carrier in the car and go for a 5 minute drive then bring your cat home and let her out. Of course follow it up with a treat! 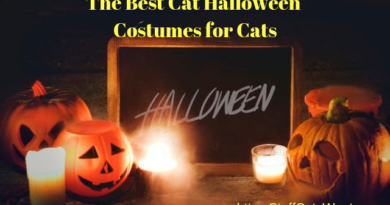 One other thing to keep in mind is that beyond associating positive things with the carrier, you should also make sure you choose a carrier that is appropriate for your cat and your own situation. If every time your cat gets in the carrier they get knocked around and flipped over then a couple of treats certainly isn’t going to change their mind. Be sure to choose a good high quality carrier that fits your needs and that is size appropriate for your cat so she has plenty of room to move around. 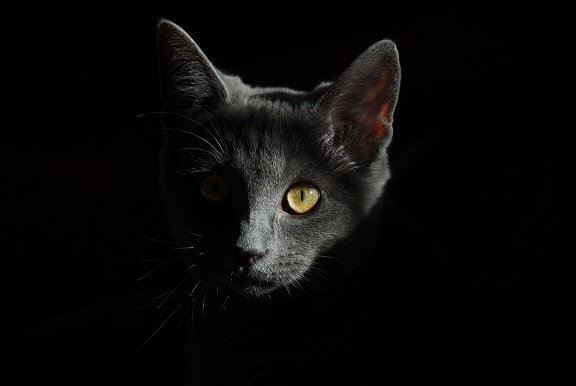 The above steps are primarily intended to get your cat in the right mindset and ensure they don’t only think bad things happen when the carrier comes out. While these steps are by far the most effective with a young cat, they can certainly help your adult cats as well. The Classic Bait and Zip: This is the oldest trick in the book (and the easiest). If you have a cat that isn’t afraid of the carrier and is food motivated simply throw a few treats into the carrier and zip it up or close the door behind them. If your carrier has two doors make sure one is already closed/locked before you put the treats in. Note that if you’re going for a yearly checkup where they are going to draw blood you can’t use this method because your cat shouldn’t eat beforehand! More often than not though you won’t be able to simply set the carrier down and have your cat wander into the carrier. Instead you’ll need to actually place your cat into the carrier, a process that is usually easier said than done. If the above steps have been progressing nicely you’ll certainly have an easier time of it! Let’s take a look at a few alternatives below. The next two methods both require you to pick your cat up, so be sure you know how to properly pick up a cat first. 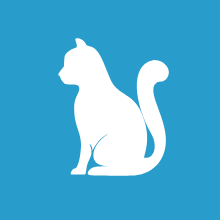 Check out this video below from VetStreet to ensure you’re pick up your cat in a safe manner! Note that if you aren’t leaving quickly after placing your cat in the carrier then it often helps to place a towel or sheet over the top of the carrier to keep your cat calm. Some carriers also do have snap on covers for the sides you can use to achieve the same type of effect. Loading your cat into a carrier can be a huge hassle, especially for cats that are already afraid of the carrier. Most cats are afraid of the carrier because every time they see it they end up going somewhere they don’t like to go! So you need to ensure they associate good things with the carrier. 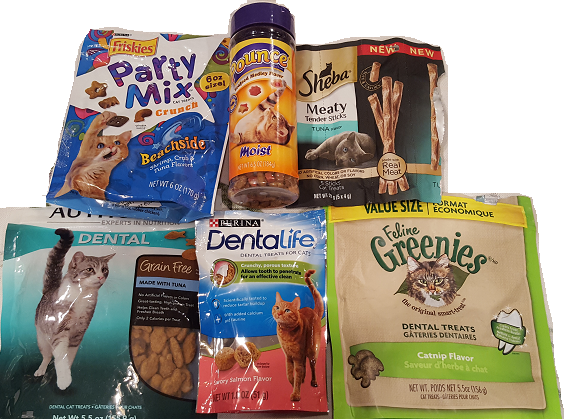 Be sure to make the carrier appealing to your cat by providing rewards for using it and ensuring they get lots of trips in the carrier that don’t result in a veterinarian visit. 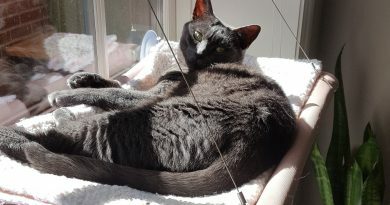 If you have any other thoughts on the how you familiarized your cats with the carriers then please leave a comment below or send me an email at Craig@StuffCatsWant.com so I can update this article! I’ve always wanted to get a cat as a pet in the future and this article prepared me on how to face the troubles of being a cat owner! I like how you talk about allowing the cats to associate the carrier with positive emotions and experiences to allow them to accept being in a carrier, very useful advice indeed! Keep up the good work! Thanks Adam! Hope your new cat adjusts quickly to the carrier! Good luck and stop by with any other questions you might have. These are some great tips! Sounds like the reason we’ve had so much trouble getting or cats from place to place is because we’ve done it wrong, and maybe we should rethink it. Thanks for the post! Glad you find it helpful. Let me know how it works! I think every cat is the same; we have the exact same problem, as soon as they have to go to the vet, the cats are hiding. I’ll give these ideas a shot to see if it helps! 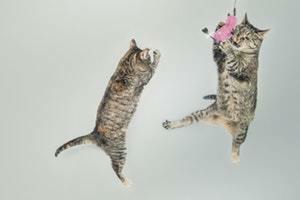 How successful have you found Feliway? Thanks for stopping by. I’ve generally used Feliway for introducing cats to one another more than I’ve used it for the carrier. This is primarily because my cats are ok with the carrier for the most part, the worst they do is meow near it. That being said, we do use it often at the shelter I volunteer at, especially because the carriers are used by numerous cats. This really helps calm travel weary cats down! Lol! Great article and this sounds so true with most of my friends who I know have cats! I have a small Yorkie and I put him in a carrier- he doesn’t mind at all but the funny thing is I do everything that you have recommended- keeping the bag visible, making it comfy, placing little treats inside for his delight…this is a great article very sightful but was very enjoyable to read as well! I will need to share this with friends who have cats! Thanks Andrea! Good to know it is useful for your Yorkie as well! Perhaps I should start marketing to dog owners as well :P.
Thanks for stopping by and seconding my thoughts! Appreciate it and glad to hear some of these methods are working so well for you! Thank you so much tips. I’ve always had trouble getting my cat in her carrier. She is quite skittish. I think if reward her for getting in like you suggested it will be a huge help. Thanks again. I know from many friends and relatives’ experience, that cats can sense even the day before you are taking them to the vet, so in the morning, they are invisible. I agree that how they associate with the cage is important, and most likely it is only the time you take them to the vet. Cat likes freedom by nature, and let alone to be cooped up in the cage to the unpleasant doctor visit would be a horrible experience for them! Make it visible is a great idea, as many of us (I am a dog owner) put away cages when we don’t need them. Thank you for a great tips! You are definitely right Kyoko! I grew up with dogs and absolutely love them. We always had an easy time getting our dogs into the car, the tough part was once they realized which parking lot we were in they were none to happy about it, kind of like a kid and the dentist!